Alaska’s Kenai Peninsula is the ideal destination for anyone wanting to experience the wonder and majesty of the Last Frontier. We’ve pulled our top 13 reasons to head to the Kenai Princess Wilderness Lodge this summer. 1 – The Kenai Peninsula may be best known as the home of the famed Russian River, where people from around the globe flock for what has been called some of the best salmon fishing in the world. From sockeye to coho salmon as well as Dolly Varden and trout, the rivers flowing along the Kenai Peninsula are a fisherman’s paradise. From the Kenai Princess you can quickly get to the Russian River or even take a full- or half-day guided sportfishing trip along the less crowded Kenai River. 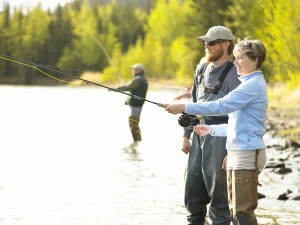 2 –You don’t have to pick one kind of fishing, though, when you are vacationing in Alaska. 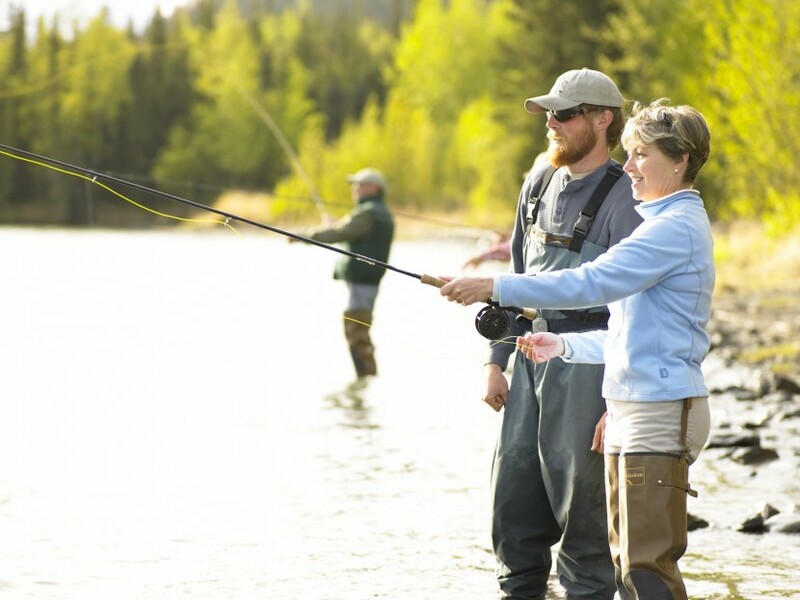 You can fish for everything from salmon to halibut with a saltwater/freshwater combo fishing trip out of Seward, which is located just an hour’s drive from the Kenai Princess Wilderness Lodge. 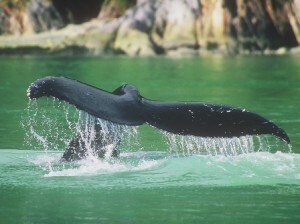 3– Just outside of Seward is where you will find one of the crown jewels of Alaska, Kenai Fjords National Park. Home of the Harding Icefield, from which flow nearly 40 glaciers, the park offers sight-seeing and adventure activities for travelers of any age. Whether you opt for our Kenai Fjords National Park cruise or a long hike along the park’s well-maintained trails, Kenai Fjords is a must see for any visitor to the area. 4 – With all the species of wildlife that call the Kenai Peninsula home, this could serve as all 13 reasons to visit the area; but we will try to keep our enthusiasm for Alaska’s majestic creatures at bay, at least for the purpose of this blog. From brown bears doing their own version of fishing along the Russian River to Bald Eagles flying overhead in Seward, the Kenai Peninsula offers a perfect chance to see a wide variety of wildlife in their natural habitat. For a more intimate nature experience, check out our guided Kenai Nature Hike excursion. 5 – Not all of Alaska’s beloved animals are in the wild, though, which is why Princess offers a chance to meet a local dog musher and spend quality time with her cute pack of canine athletes. Dog mushing is, after all, the official state sport of Alaska. 6 – For the 21-and-up crowd, the Kenai Peninsula offers the opportunity to visit and sample the goods at a number of local breweries. From Kassik’s Brewery in the town of Kenai to St. Elias Brewing Company and Kenai River Brewing Company just up the road in Soldotna, there is enough variety to tickle any beer lover’s fancy. 7 – Alaska’s history is deeply rooted in the Gold Rush. You can get a taste of history and try to hit it rich with a gold panning experience, which is fun for the entire family. 8 – Looking for a little more adventure? Try river rafting through the Kenai National Wildlife Refuge with a professional guide to help you navigate the Class II+ rapids while you take in the spectacular scenery along the way. 9 – Even if you don’t embark on your own floatplane adventure while in Alaska, you are sure to see plenty of them soaring overhead during your time in the 49th state, which boasts the highest number of licensed pilots per capita in the country. But, if you do feel like taking to the skies, Princess can help you become a pilot for a day, during which time you can get a bird’s eye view of the area’s natural beauty. 10 – On foot, by boat, in a plane – there are many different ways to see Alaska. 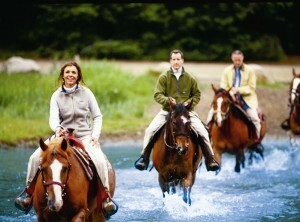 But don’t forget the possibility of taking a ride on horseback along the trails near Cooper Landing. Just minutes from the Kenai Princess, this is the perfect way for animal lovers to experience the area’s stunning scenery. 11 – The Kenai Visitors and Cultural Center offers a look into the past and present of Kenai, Alaska, with a 10,000-square-foot facility featuring historical artifacts, wildlife exhibits, a museum store and many educational programs for those with a thirst for learning. Perhaps best of all is the Center’s Saturday Market, held in the parking lot every Saturday during the summer season. From fresh produce to baked goods to handcrafted items, the Kenai Saturday Market is the place to be for local fare this summer. 12 – You may not find too many people actually fishing at Salmonstock, but this spectacular music festival in Ninilchik, just a couple of hours away from the Kenai Princess, does celebrate and support Alaska salmon. Offering music, art, children’s activities, crafts and Alaska food and beer, Salmonstock 2013 will be held Aug. 2 – 4. 13 – Last but certainly not least on our list is the accessibility of the area. Less than two hours from Ted Stevens International Airport in Anchorage, the Kenai Princess Wilderness Lodge is easily accessible to travelers flying into the state’s largest airport.